Hold on to your hats for Tenerife's very own fast and furious mountain rally race. There is a reason the island was the set for Hollywood blockbuster Fast and Furious films - it's thrilling winding roads that are perfect for daring rally drivers. This year's Subida Arona, heralded as the most prestigious and important rally race in Tenerife, will be held on the 21st and 22nd October, and is open for the public to watch. 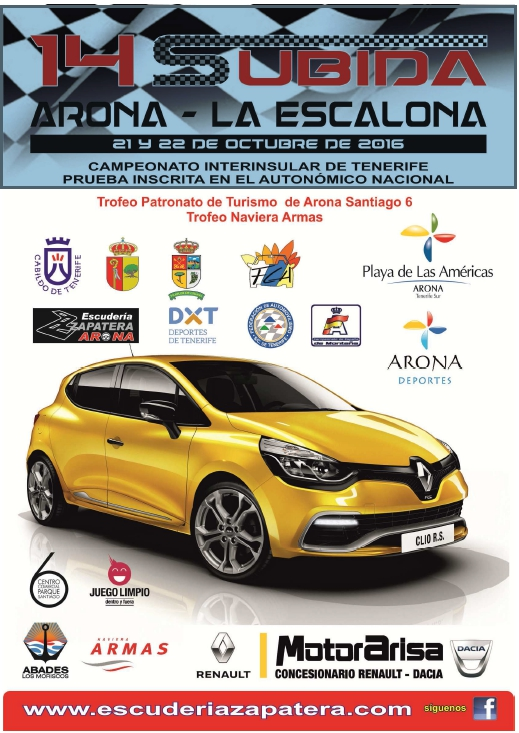 La Escalona International Rally, organised by Escudería Zapatera Sport Arona, will this year see drivers from different parts of the globe tear their way around the mountain roads.